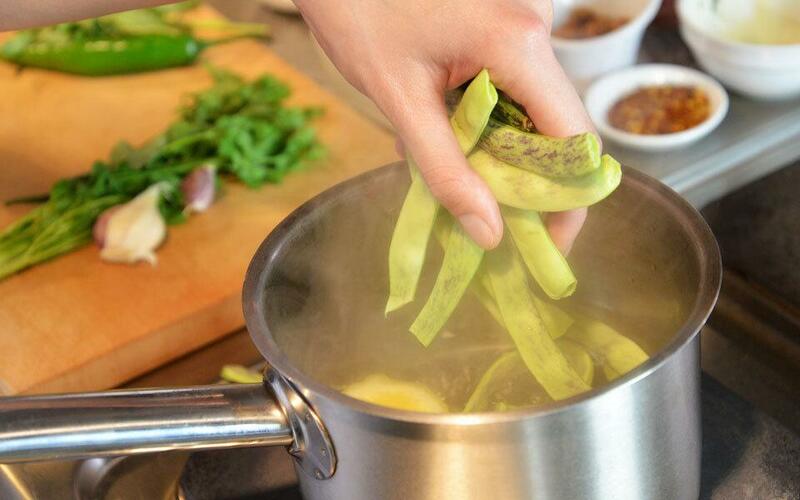 Wash green beans, chop them into the desired size and boil in salted water and lemon juice (you can also use frozen French beans, they have more specific taste). Once the beans are ready, put them into iced water, to stop the cooking process. 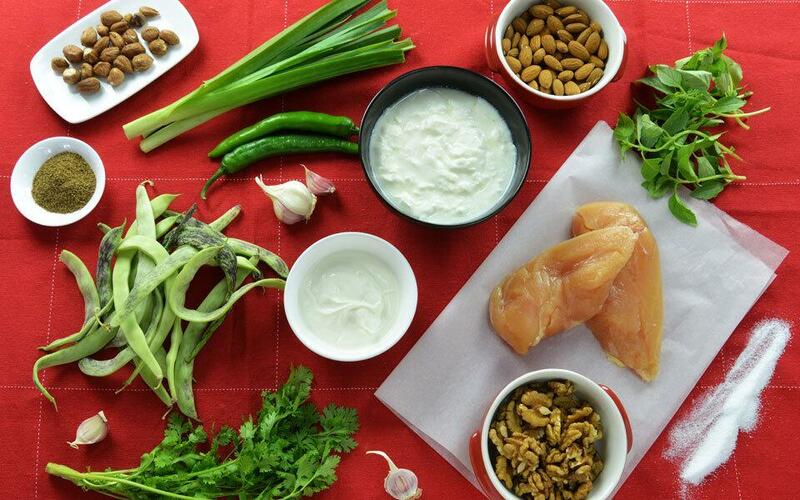 For sauce blend leeks, coriander, basil, walnuts, green pepper, garlic, lemon zest, lemon juice, sour cream and matsoni. Salt and pepper to taste. 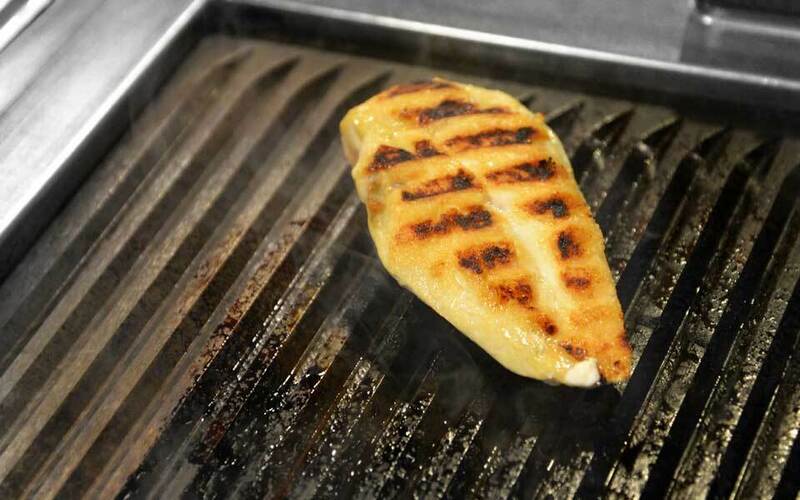 Fry chicken fillets on a grill. Leave for 5 minutes and then cut into small, long pieces. Put the beans and the chicken into one bowl, add the sauce. 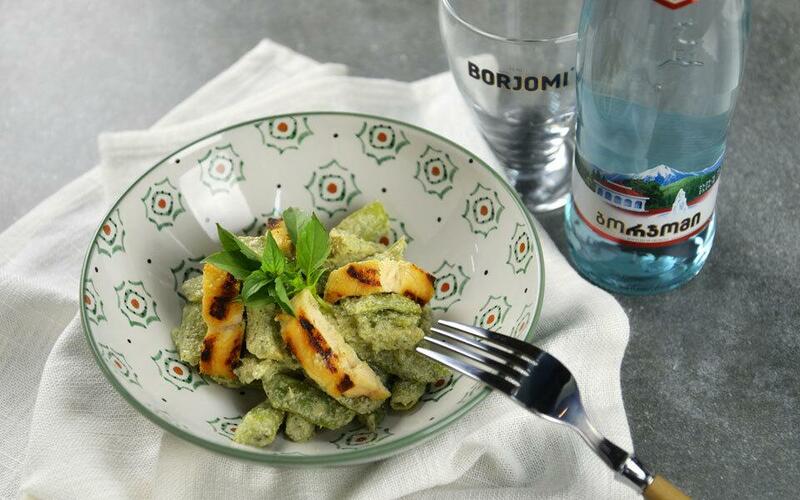 Place your dish into a beautiful bowl and add a bit of basil. Clean chicken fillets from fat and marinate it in oil, lemon juice, pepper, and salt for several hours.